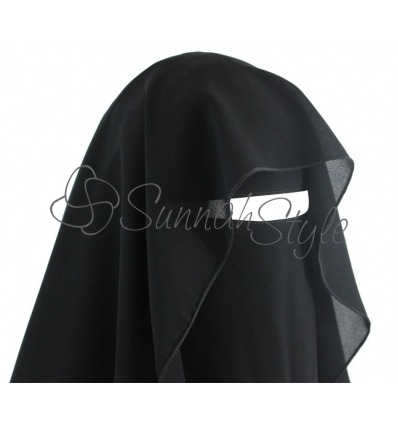 SunnahStyle Butterfly Niqab features a rounded top layer that provides great coverage and makes it possible to wear the niqab in various ways. 1. 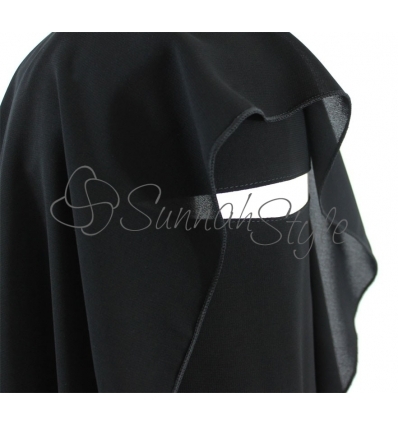 With the top layer flipped back. 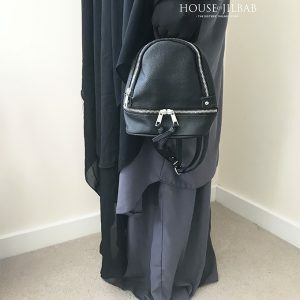 When flipped back, the top layer reaches the knees at the back (depending on your height) and the sides of the top layer cover the back and shoulders giving the appearance of a hijab. 2. 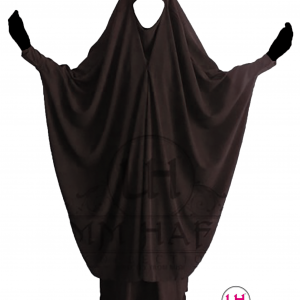 With the top layer flipped back halfway and then the hem brought forward over the forehead or eyes. 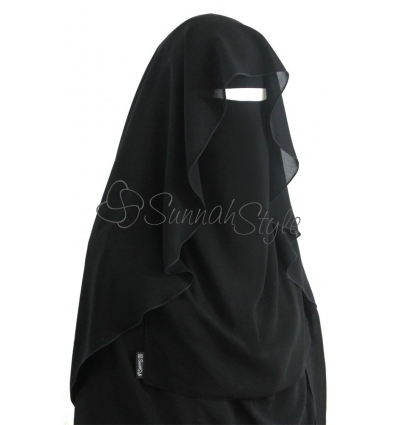 Wearing the niqab in this way creates a wavy effect around the face. 3. 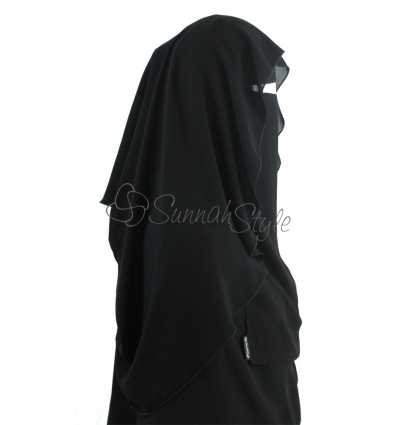 With the top layer down over the face which covers the eyes and modestly covers the front of the body. 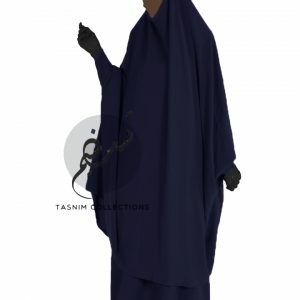 Please Note: The niqab must be worn with a hijab to properly cover the hair. 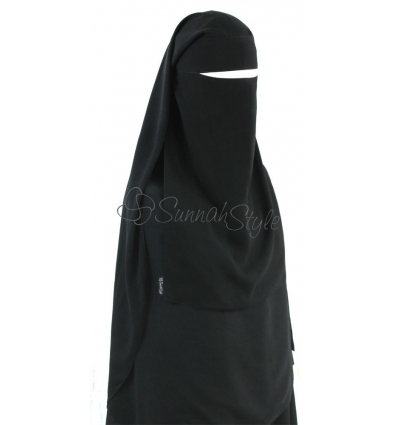 The niqab is pictured worn on top of our Essential Shayla (sold separately). 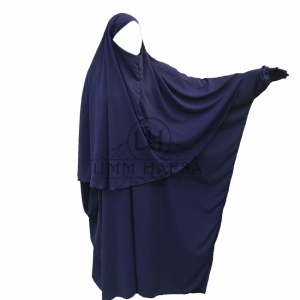 Availability: Out Of Stock Size: N/A Categories: New in, Brands, Sunnahstyle, Niqab, All, Two layer niqab.